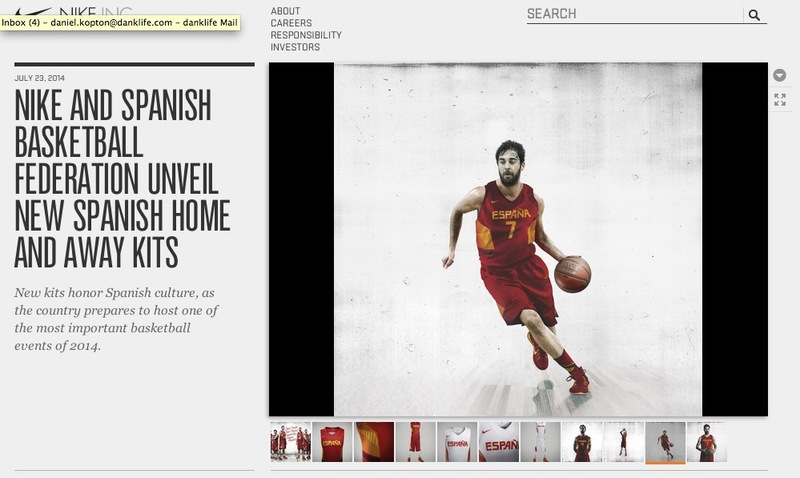 "Today, Pau and Marc Gasol, Juan Carlos Navarro, Sergio Llull, Rudy Fernández and Victor Claver proudly presented the new Spanish Basketball HyperElite team kit in Madrid, host city to one of basketball’s most important events this September. The new kits feature design innovation with inspirational elements specific to Spain. They are the lightest Nike Basketball uniforms ever made, with each design detail maximizing player performance."